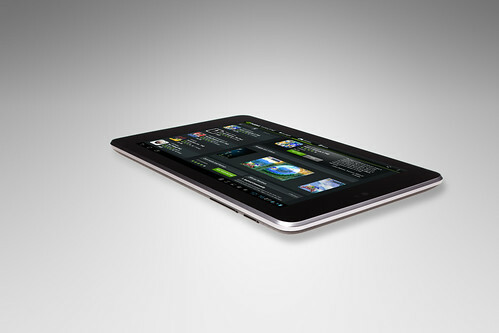 Yes that’s right, Google, partnered with Asus has launched its very own tablet. The Nexus 7. 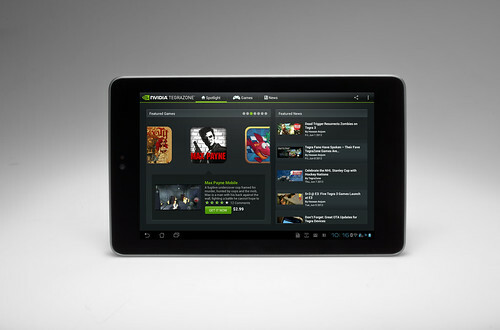 This tablet is being advertised as an entry level, budget tablet and was made to compete with the Amazon Kindle. You can pick up your own Nexus 7 for as little as $199. The 16GB version sells for $249. This is a great little device and has some fantastic features, it runs on the latest edition of the Android mobile operating system (4.1) nicknamed Jelly Bean, and measures 7 inches, with a 1280×800 high definition display. The Nexus 7 is very sturdy and solidly built, with a rubber type back which makes it comfortable and easy to hold, even in one hand. It measures approximately 1.8 inches high, 4.7 inches wide, and 0.41 inches deep and weighs about .75 pounds, the only color available is black, but as with the other tablets, cases in all designs and colors should be readily available. This tablet is the first to run on the Android (Jelly Bean) 4.1 operating system, and Google has worked hard to include some very nice new features. They have included â? ?buttery graphics and silky transitions,â? and enhanced the notification tray so that it shows more about alerts. The OS also includes Google Now, which is a voice enabled search option that is comparable to Apple’s Siri, which means that you will be able to use your Nexus 7 much more easily on the go, as you can tap the microphone icon on the search bar or hold down the home button and actually ask it to search for things such as the best restaurants in the area,Â or the closest gas station etc, once the search is completed, the results will appear as cards in the app. You can even ask it for the weather in a particular area and it will tellyou the information in a friendly voice. One more feature of Google Now is that, after a little time, it will remember information based on your location, calendar, and history, and when you fire it up, it will give you information without you even having to ask. Imagine if you search for your favorite NFL team, and the next time you launch Google Now it automatically gives you the latest scores. Of course you do need an Internet connection for this to work. You can also save Google Maps information on your tablet, so that if you are traveling you can access map information without the need of the Internet. Another fantastic feature is the Google Play store, where you can find and purchase books, music, apps, movies, TV shows, and much more. Google has increased it’s offerings for Google Play, but at the moment it still doesn’t have quite as many listings as Apple iTunes, or Amazon. While the Nexus 7 launched by Google may not have quite as many bells and whistles as the Amazon Kindle, or the B&N Nook, it is still one of the best tablets available today especially for the price. It does have some very nice features, and being the only tablet at this time to run Android 4.1 it has a lot of potential that its competitors do not. 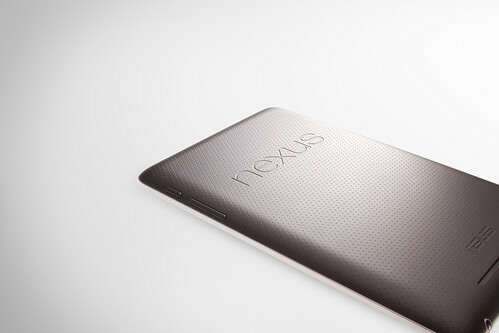 You can pre-order your own Nexus 7 here and expect it to ship in 2-3 weeks. They’ve set the tablet at a fair price for what you get by the look of it. I like the Google Play Store because most of the apps are free. As a developer I can say that Google make it fairly easy to upload binary to the Google Play Store and it’s less formal than other platforms for submitting apps. Would you honestly buy this thing? I wanted to really bad; but the fact that it doesn’t come with a camera application makes it seem to me that the developers didn’t really put their best into this tablet. I would buy it for internet browsing/movies and email but not for the entertainment value an iPad would provide. The only reason I won’t buy an iPad is because the thing is too damn big. I want to be able to take it to school and hide it in a textbook. Mini iPad here I come!! !